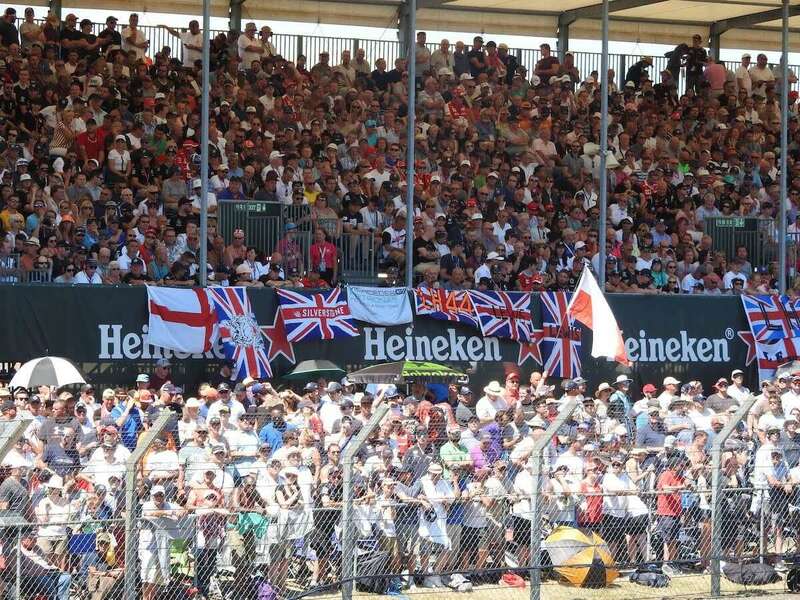 Advice on the best ways to get to Silverstone for the 2019 British Grand Prix on July 12-14. Silverstone is located approximately 130km (80 miles) North East of London in the direction of Birmingham. It’s a rural circuit that doesn’t benefit from great access. That’s probably why so many fans camp near the circuit each year, saving the daily hassle of negotiating the heavy traffic on the small country lanes to and from the circuit. It’s not all bad though, unless it rains! Depending on where you decide to stay, here are the best ways to get to Silverstone for the British Grand Prix. If you are flying into the UK, there is a good choice of airports which are relatively close to Silverstone, including London’s five main airports: Heathrow (LHR), Gatwick (LGW), London City (LCY), Stansted (STN) and Luton (LTN). The closest of the five airports to Silverstone is Luton, but it’s still approximately 50 miles (80km) away. Birmingham Airport (BHX) is a similar distance from the circuit. Luton in particularly has a good selection of discount carrier flights from different European destinations. 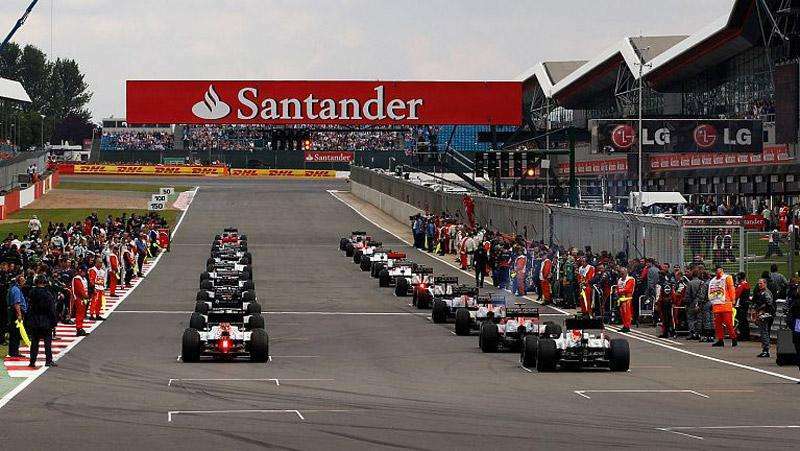 By the same token, Silverstone is also only a train ride away from London, and there are also dedicated coach services running from the capital to the circuit on Grand Prix weekend, so it’s worth considering staying in London and making the most of the city by night. From Europe: there’s no shortage of flights from Europe to the UK with both flag carriers and discount airlines. Check Ryanair & EasyJet for the best deals from as little as €100 return. From the USA: most direct flights from the USA arrive at London Heathrow airport (LHR), though a handful fly into Gatwick (LGW). The flight time is from 8-11 hours. Expect to pay at least $800-1200 USD return. Eurostar: Western European visitors can also make use of the quick and affordable Eurostar train service from Paris and Lyon. The direct service via the Channel Tunnel takes just 2.5 hours from Paris Gare du Nord to Kings Cross St Pancras in central London. Return tickets on Grand Prix weekend from €89. Ferry: Putting your car on the ferry and driving to Silverstone is also an option, particularly if you are camping near the track. Dover is also well-connected with London train stations, and Silverstone can be reached within a few hours of docking. A return ticket on the Calais-Dover ferry for two passengers with a car costs from €160 with P&O Ferries. If you opt to stay in London, it’s a good idea to stay close to Euston Station, which has fast connections to Milton Keynes and Northampton – the closest large stations to the circuit. Trains to Northampton are normally direct and take around one hour; return tickets from £15 if booked in advance. Trains to Milton Keynes Central can take as little as 30 minutes and cost about the same when booked in advance. Trains to Banbury are also worth considering; you will get a little closer to the circuit, but trains take longer (90 minutes from Euston). To check times, fares and book your tickets, visit National Rail. Virgin Trains has also negotiated a special deal with Silverstone for fans traveling to the circuit on race day. Extra trains run to Milton Keynes and Banbury, with shuttle bus transfers to the circuit included in the ticket price. Stagecoach runs regular buses on British Grand Prix weekend from the train stations in Northampton and Milton Keynes to Silverstone. Single day return tickets cost £16-20, 3-day tickets are £32-35. Megabus runs a service from Banbury train station. Taxis are also readily available to take you from the train station to the circuit – you shouldn’t pay more than £35 GBP for a one-way trip between from Silverstone and Banbury, Northampton or Milton Keynes train stations. Stick to licenced vehicles and steer clear of private minicabs if possible. Zeelo offers fast, affordable coach transfers from London to Silverstone for the 2019 British Grand Prix. Services are offered on both qualifying and race day, with prices starting at £32 return. Recommended! 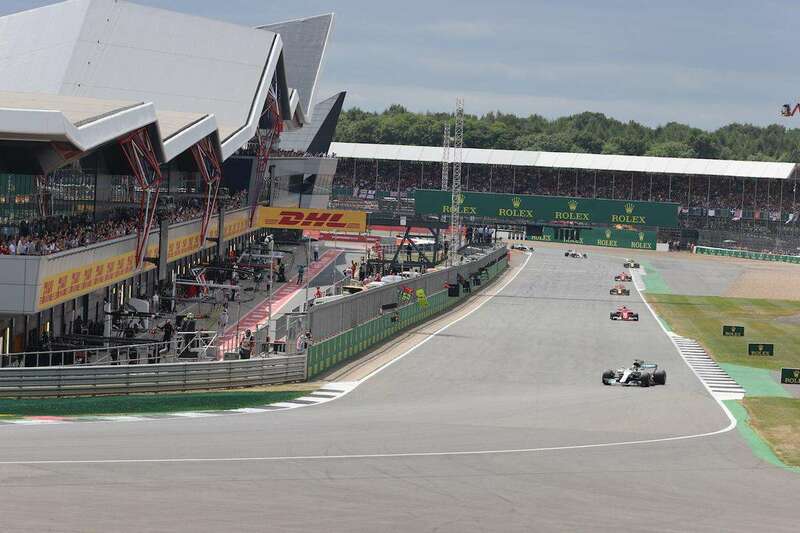 Silverstone sits between the M1 and the M40 motorways, both of which head out of London and connect with Oxford and Birmingham (M40 – near junction 10) and Milton Keynes and Northampton (M1 – junction 15a). Access to the track is from the Dadford Road which runs north from Buckingham and south from the A43 and Silverstone village. The journey should take 90 minutes from London, 60 minutes from Birmingham, 45 minutes from Oxford and 30 minutes from Northampton. Traffic on Grand Prix weekend can add to these journey times significantly, however. Click here to rent a car for the British Grand Prix from our partners Rentalcars. Park and Ride: If you want to avoid the traffic jams coming into and out of the circuit (particularly on race day) and save yourself some money on the high cost of trackside parking, then Park & Ride is worth considering. The two locations are not determined yet for 2017, but will be next to the M1 and M40 (previous locations were Hedges Airfield and Sixfields Stadium respectively). Three-day park and ride tickets cost £25, less than half the price of trackside parking (and without the traffic!) Single-day tickets are £15. Regular free shuttle buses take fans to the circuit and back each day. 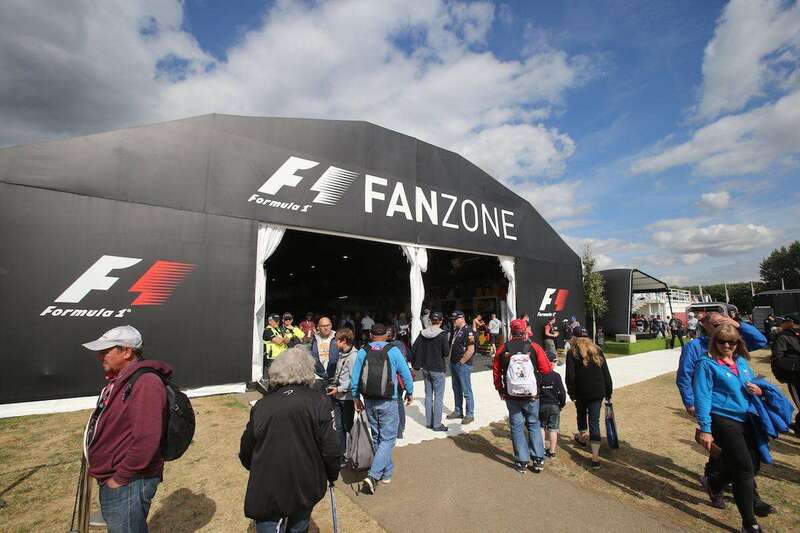 What is your advice on the best way to get to Silverstone? Leave a comment below! Andrew – this is very helpful. We are planning on attending the Moto GP race in August staying in Northampton and this gives us some options. 1. I will be attending on Sunday. Are there queues at the park and ride? 2. How long does the park and ride bus take both ways? 3. Are you allowed to take cameras/lenses into the circuit? If I am travelling from Northamptonshire by car it says the journey is 30 minutes but leave significantly more, How much more should I realistically allow? How bad is the congestion? It will be worst on Sunday, so I suggest leaving at least 90 minutes for the trip there and home. Go earlier and stay later seems to work the best! Sorry Jane, I don’t have the answers to your questions, but hopefully someone else will! Hi Jacqueline, single day tickets cost £13 one way or £21 return for adults (£10 one way or £16 return for children). Three-day tickets cost £36 for adults and £27 for children. Click here to download the timetable. Is there one entrance/gate or others that get you into the circuit? Hi Heather, I don’t recommend driving your partners to the circuit and picking them up on race day. The traffic near the circuit is really congested and you will probably be stuck in traffic in each direction for an hour or two. Better idea would be to book them on a Megabus from Birmingham. You can drop them off and pick them up from there. Is there any bus service from Stratford upon Avon? Yes Mike, it’s the same. The timetable can be downloaded here. Where are you supposed to park motorcycles? I went to the practice today and parked in one of the carparks, but I told them it was free of charge – they didn’t have a clue, and it worries me that it may not be correct when I go tomorrow and Sunday. Hi Steve, not sure if there is a dedicated parking area for motorcycles. But you definitely don’t need to pay for parking. Hi we are going to F1 tomorrow from Surrey what time would you recommend us leaving home??? The short answer is as early as possible! The first race starts just after 8am if you want to get up really early. The traffic is bad on race day, so the earlier you get there the better. And don’t be in a hurry to leave the circuit after the race either. Enjoy! I can take a train from Milton Keynes to the track, correct? No Greg, you need to take a shuttle bus from Milton Keynes train station to the track: this is run by Stagecoach, as the article says. for the stagecoach buses, is that a special bus they run for the race weekend or do you just buy a regular ticket? Can’t find any info on their site. Regular bus looks like it takes an hour or so on the weekend. These are special buses for Grand Prix weekend. Timetables normally get announced around 2-4 weeks before the race. Best to check the main Silverstone site for more info. Hello Andrew, we are coming in from Montreal and it’s our first British Grand Prix. We are trying to figure if it is easier to stay in London and take the train & bus or stay as close as we can to tack to avoid as much travel as possible. Our experience in Belgium with the bus was a nightmare. No special lanes so we were in traffic with everyone else. Is this the same here or do the busses have special lanes? Any thoughts would be appreciated. If you have found an option can you let me know! I am flying in from Ottawa and getting to the track has me anxious. I’m possibly attending the British GP this summer and have a couple of questions. Firstly how early would I need to arrive at the circuit by car on the Sunday to avoid most of the traffic? I know “the earlier the better” is the general advice on when to arrive, but how early is early? At the other end of the day, when will most people likely have left the circuit, so making it a good time to leave without major queuing. Hi Ivan, I’d be aiming to get to the circuit before 8am, but you’ll still probably encounter plenty of traffic at this hour. The worst traffic leaving the circuit is probably between 4-7pm, so I’d be aiming to leave after this. I have a motorhome that I was hoping to stay in for the 3 days for the Grand Prix. I have got tickets on the M1 park and ride. Is is possible to stay in the M1 junction overnight?? Are the shuttle buses from Sixfields free of charge even when I don’t use Park and ride? Would be staying in Northampton and therefore wouldn’t need the parking ticket and wouldn’t buy that if I could still use the shuttle buses. Hi Andrew I want suprise my father and buy ticket for Friday for him..I am not sure about few things so I would really appreciate your help.. so far I find that megabus is the best option but I’m wonder are they collecting people from birmingham airport too? If not where is the bus stop and how to get there from airport? Are the buses arrive on time to silverstone- (arriving time on timetable 9am) is that enough time to see first practice? And last thing what time all shows and events will finish on Friday? Hi Martyna, details of Megabus services to Silverstone for 2018 can be found here. You will need to contact them to find out where the buses depart from in Birmingham, but probably from the centre. You’ll need to get from the airport to the centre I think. You can find the 2018 British GRand Prix schedule here. First F1 practice session begins at 10am on Friday and on-track action finishes at 19:00. Finding the whole process of getting back from Silverstone very difficult! I am local in Northampton so can easily get bus there. However, all buses finish at approx 7pm even though entertainment is on until 10pm?! Seems crazy to me. So it appears the only other option is a £40 taxi.. a local business is missing a trick here! Late evening shuttles would be so ideal. is it possible to be dropped off at silverstone is that allowed. i won tickets to 2018 silverstone f1 gp and have only receved them a week befor the event and now i cant book parking. plus i dont want to pay a ridicouls ammount for parking or a taxi or a slow bus. Is there a taxi rank at the circuit so that we can get a taxi back to Milton Keynes after the Grand Prix? Or if we prebooked one, where would we ask it to pick us up? Struggling to imagine how we would find a prebooked taxi in the crowds. Hi Jenny, check the 2018 Silverstone circuit map. You’ll find a taxi pick up/drop off point near Gate 5, behind the Family Zone. Do you know if Virgin Trains will be doing specials with connecting Shuttle Buses for the 2019 event?